Amir Barsoum, is a Digital Healthcare Guru and Co-Founder & CEO of Vezeeta. 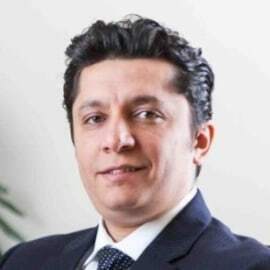 During his Management Consultant role in McKinsey & Co., Amir served several Healthcare and FMCG entities in public and private sectors in Europe and MENA. He then led the strategy of MENA markets of AstraZeneca pharmaceuticals. Amir holds an MBA from the American University of Cairo, Bachelor of Pharmacy from Ain Shams University and an Executive Education Certificate from Harvard Business School about scaling startups. Together with his reputable educational background and profound work experience and knowledge of how different Healthcare systems operate in International Markets, Amir Barsoum introduced Vezeeta where he overcame many Healthcare problems including accessibility and medical data availability.